The UAE has historically pioneered exceptional quality of life and an unparalleled business environment. 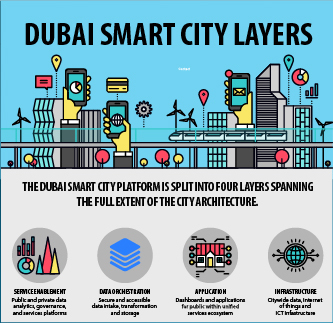 As part of the UAE’s vision and digital government strategy in particular, the UAE has been on the move in building smart city infrastructure with the development of numerous initiatives across the Emirates aimed at empowering UAE’s residents and improve the quality of life through smart ICT Solutions. A smart city, also called ‘Smarter city’, uses digital technologies or information and communication technologies (ICT) to enhance quality and performance of urban services, to reduce costs and resource consumption, and to engage more effectively and actively with its citizens. The concept behind Smart Cities (also sometimes referred to as Smarter Cities) is to create cities that use the developments in information technology much in the same way as cities now use developments in sanitation or power. This includes using information and communication technologies to increase the efficiency and quality of services provided by the government, and in turn, increase the quality of life for citizens. It also means allowing the citizens to interact and communicate with the government to allow instantaneous feedback that can shape the security and infrastructure conditions of the city. The move for smarter cities in UAE is being spearheaded by HH Sheikh Mohammed bin Rashid. It is his vision to exploit information communications technology to its fullest by developing and implementing technological innovations into the core infrastructure of the city. Dubai is already aiming to expand its infrastructure for 2020 and make the city ready for and expected 30 million more visitors. Dubai is also in the perfect condition to incorporate these changes as most of its infrastructure is relatively new with many other initiatives already in progress. Aside from these pillars the project also codified six strategic dimensions that would guide the project. The pillars and the dimensions also show how well managed the project is. The pillars and dimensions are based on the leading research and practice from all over the world. Additions have also been made to the smart metrics; Smart Economy and Smart Living are new concepts when it comes to Smart Cities. Smart Economy involves integrating information technology into the hubs of economic activity in Dubai. This includes better and more technologically advanced logistics support at Dubai’s seaport and airport in order to increase global competitiveness. Dubai is already the MICE (Meetings, Incentives, Conferences, and Exhibitions) capital of the world, and further improvements in information communication technology are being made to create a better experience for visitors. Entrepreneurship is also being focused upon, creating an infrastructure that supports innovative information technology companies for the local and international market. As Dubai continually strives to maintain exceptional quality of life and a culturally vibrant lifestyle in a safe and secure environment, Smart homes, offices and connected neighbourhoods will quickly become the norm in Dubai. This is principally due to the fact that much of the city’s growing infrastructure and development is a great opportunity to implement smart city connectedness. Public and private sector developments will continue to adopt a ‘smart by design’ approach, rather than being smart as an afterthought. The initiatives in this dimension range from the small, such as digital signage on roads, to much larger initiatives, such as connecting the healthcare institutions of the country to increase the response rate and accuracy of medical treatment. Dubai already has one of the best road infrastructures in the world but it is being improved even further through information technology. Focus areas within Smart Mobility include: transportation, roads infrastructure and traffic management—including Dubai’s taxis, bus, metro network, water taxis or shared cars — each to be serviced by smart touch-points. Enhanced asset management initiatives, such as smart parking will drive true seamlessness and efficiency. Sustainable Mobility initiatives are already being implemented in the form of electric vehicle charging stations and legislative support around renewable transportation. The city’s existing ICT infrastructure, together with future initiatives will enable impactful movement and implementation of ideas. Dubai is not a newcomer to the world of e-governance; it was one of the pioneers of the initiative and has had an active e-governance infrastructure since 1999, a time when most other countries were only beginning to grasp the implications of the vast information technology network being created. A key opportunity and area of focus within the strategy is Open Data and its governance, deployment, and eventual impact on city decision-making. Other objectives within the governance dimension include the active promotion of public education, as well as the active inclusion of remote communities not directly connected to the central city infrastructure. Often unfairly seen as a City that enjoys excess; Dubai is actually a surprisingly green. The government realises that a delicate ecosystem like Dubai’s is threatened by the prospect of a bad environment. Accordingly, there are many green initiatives that focus on reducing harmful pollutants. Focal areas of the strategy include energy, waste management and environmental conditions for better quality of life. 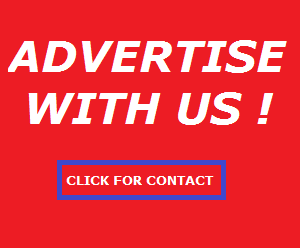 In order to include the people of Dubai in the growth of Dubai it is vital to empower them. A better, more knowledgeable, and ultimately a happier society is being supported through e-learning centres, skills development, and social communication mediums. The strategy lists public involvement and education via e-community centres, digital and social communication channels and alternative skills development as primary focus areas. The end goal remains creating a native culture of continual learning, participating and innovating within society. Smart ICT Infrastructure is not a separate dimension; it is a dimension that is made to support the other 5 dimensions by enabling the technological infrastructure required to support such an ambitious project. This includes; increasing internet coverage, smart apps, a centralized layer which can manage and monitor all the smart services, and analysis of real time information for updated intelligence. Meanwhile in the capital, a host of smart city initiatives are underway with a plan create an equally smart ecosystem that supports the UAE’s vision for excellence in government services and quality of living. Most notable and international recognised of these efforts is Masdar City, Abu Dhabi’s flagship and first of its kind project to build the world’s first carbon free city built on a host of smart infrastructure and sustainable technologies. Among some of the other notable initiatives is the Abu Dhabi Systems and Information Centre’s (ADSIC) proactive role in reshaping the public sector’s ICT landscape. The new and improved e-Government strategy that has been mapped out by clear and scalable objectives aims to rapidly enable the digital transformation of Government services and shared ICT infrastructure through a road map that will be followed in the years to come. Through services like ‘CityGuard’, residents can instantly report any incidents around the Emirate by taking a photo, movie or audio of the reported incident and use an embedded interactive map to locate the exact geographic position of the incident. 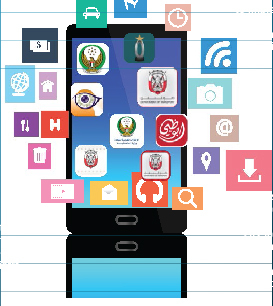 We have also recently seen the launch of the new Abu Dhabi Government Services App, which is a strong start to offering hundreds of convenient e-government services right from your mobile phone! Elsewhere, the Abu Dhabi Municipality have launched a new smart app called ‘Onwani’, which uses the latest technology to help you find any location faster, easier and smarter! Every street sign and building number plate will have a Quick Response (QR) Code that you can scan with your smartphone to instantly get accurate information about that location. Once integrated with the Abu Dhabi Department of Transport’s award winning smart application ‘Darb’, residents will be able to navigate the capital smoothly with basic interactive maps that show public transport routes and timetables. 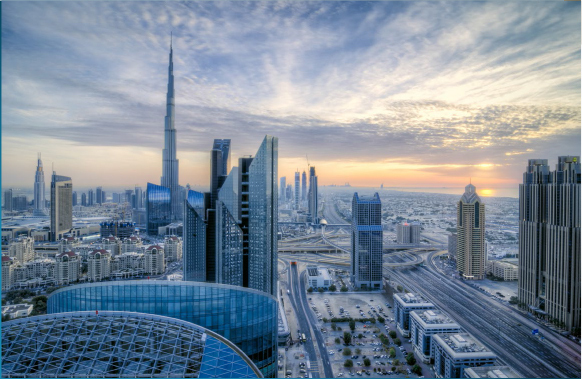 The UAE has many advantages when it comes to comes to implementing Smart initiatives. Their infrastructure is much newer than most cities, which makes it easier to implement new technologies. The UAE also has a lot of disadvantages it is fighting through; a punishing climate and its geographical location which leaves it far away from most economy hubs of the world. Despite all the troubles, the UAE is the home of the most prominent Smart City initiatives in the world. The commitment by the government is unparalleled, and there is no red tape prohibiting innovation. 7 Hobbies to Train Your Brain!